Most of the work we do at Glyfyx is destined for electronic screens, but nothing beats analog alphabetic objects that you can pick up, play with. Our first product is Bitblox, but we have more items coming up. Don’t miss getting your own free Alphabuild goody pack. 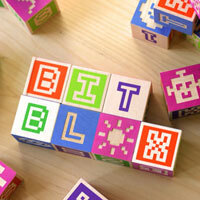 When lo-fi bitmaps meet classic wooden blocks, you get Bitblox — the alphabet blocks for the Digital Age. Spell, build and decorate with these colorful, beautifully crafted cubes! Each set is hand-manufactured in the United States with sustainably grown wood. A limited edition item available exclusively at Glyfyx. 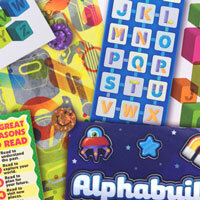 An awesome goody pack stuffed with stickers, postcards, bookmarks and balloons. Free just for Following us on Twitter or Liking us on Facebook. Get yours today. 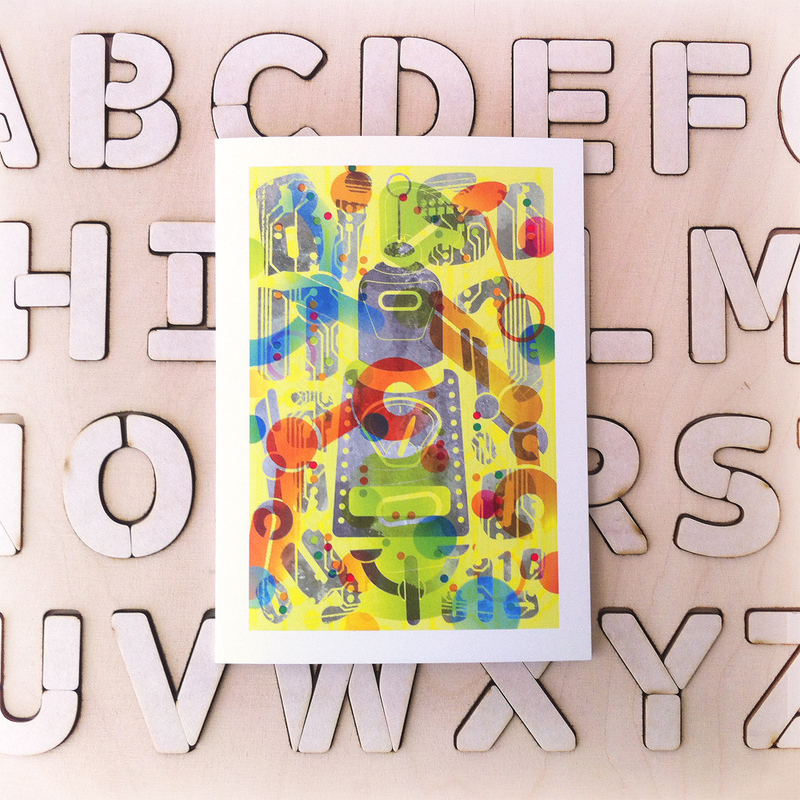 Download our free alphabet coloring pages! 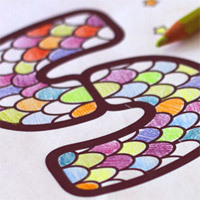 Each coloring page showcases a single letter decorated in a beautiful pattern, and is accompanied by the entire shape-based Alphabuild alphabet. Get all 26 letters as a single PDF; or choose the individual letters you want. New in the shop are a set of typographic greeting cards inspired by and featuring typefaces from PSY/OPS Type Foundry’s collection. More great items on the way! Follow us on Twitter for updates!